Spinfisher Surf Rods feature high-modulus graphite blanks and comfortable EVA grips. A true classic, Spinfisher Surf Rods are an incredible value and performance-oriented fishing rod rolled into one. 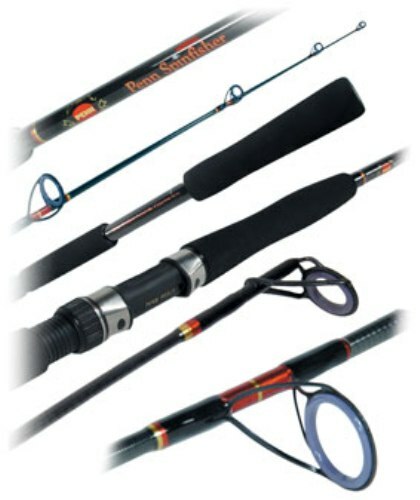 The six rod models in this series lend themselves to a variety of fishing applications, and regardless of whether you are throwing soft-plastics, hard-plastics, worms and Clam, or Cut-Bait, there is a Spinfisher Surf Rod for your fishing needs.